In June, our flute and cello duo played for a very musical destination wedding ceremony at the Wedgwood Wedding and Banquet Center in Boulder, Colorado. The bride and groom had many fun song selections that they incorporated throughout their ceremony, and they each had a secret song that they chose for each other. The groom sang his secret song ("All I Ask of You") to the bride as we accompanied on flute and cello. The groom even sang some of his vows. 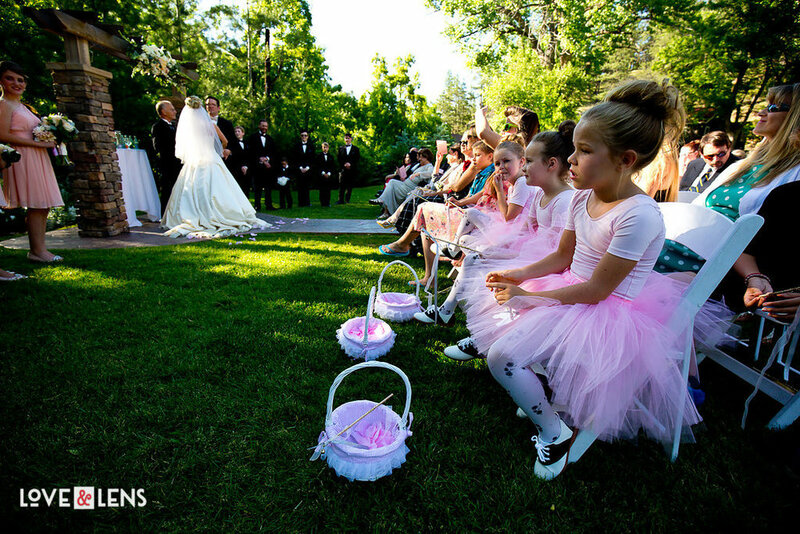 The ceremony was full of laughter and fun and was truly a celebration of love. 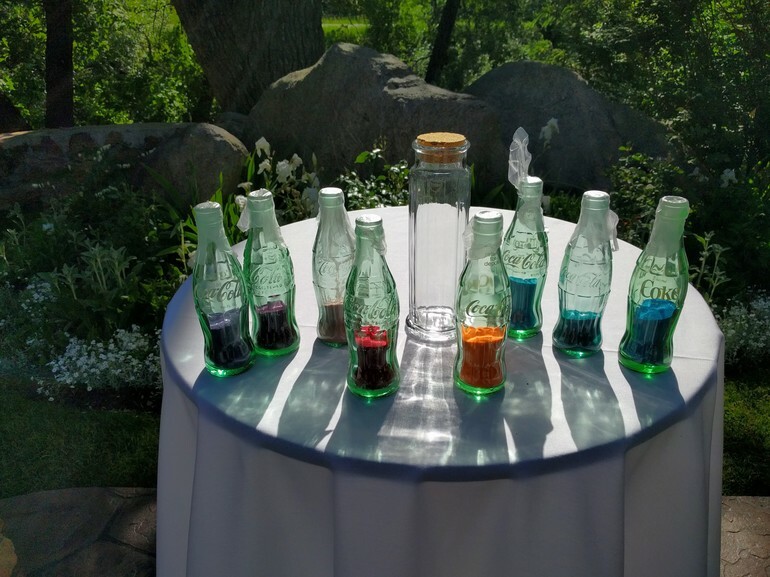 I adored the vintage bottles and colored sand that the couple used for their sand pouring ceremony.